Are you looking for an excuse to study in the amazing city of Barcelona? Well, there are plenty! Barcelona is one of the most fascinating cities in Europe and is the perfect place to study abroad. Here are the top reasons why you should consider studying here. 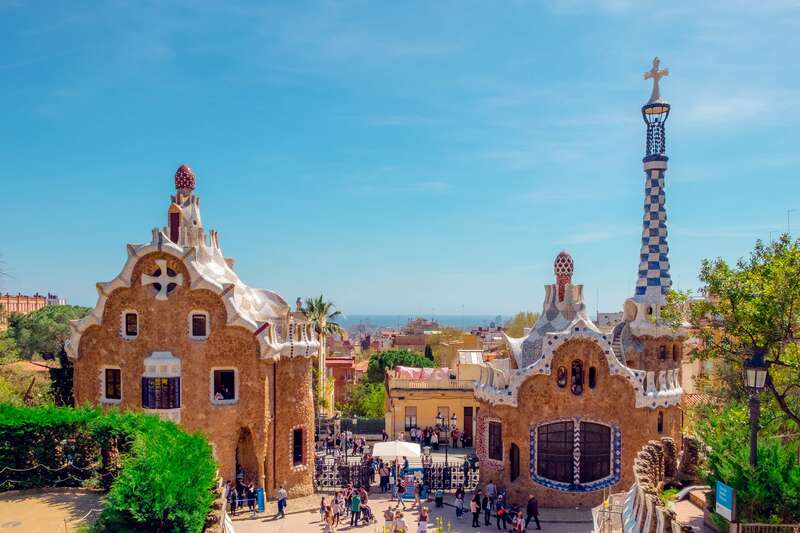 In Barcelona you are lucky enough to get the best of both worlds as, not only do you get to enjoy a bustling city, but you are also near the coastline where you can take advantage of some incredible beaches. The beaches are all within easy reach of Barcelona city centre and depending on where it is that you are studying, for example the Universitat Pimpeu Fabra, many universities and colleges are very close to the coast. You will often find large groups of students at the beach as it offers an absolutely perfect place to unwind after a long week of lectures, studying and exams. You can also keep an eye out for some great music festivals that take place on these beaches over the summer months, including Primavera and Sonar. If you are a real sun chaser, then you won’t be disappointed studying in Barcelona as there is great weather almost all year round. Even during winter, the temperature still sits at around 9 degrees Celsius, which is a far cry from the negative temperatures many of us face over the winter months. Also, if you are a foodie then there is nowhere better to study than Barcelona. There is delicious Spanish cuisine to be found in markets and restaurants across the city and it is here you can try some famous Spanish classics including crema catalana, fideua and aioli. The student accommodation Barcelona has to offer is plentiful and there is a lot of choice and variety for you to choose from depending on what your needs are. Collegiate has some of the most luxurious apartments on offer to students that are brand new for September 2019. You will be just five minutes away from the University of Barcelona by tram, will have a roof top pool and outdoor terraces, a fitness suite, private study room, on site cinema and state of the art security so that you always feel safe whilst in your apartment abroad. Most students want to embrace the local nightlife during their time at university and Barcelona has lots to offer. This city is famous across Europe for its awesome nightlife and no matter whether you prefer restaurants, bars or nightclubs, there is something here for everyone to enjoy. I’d recommend visiting the Gothic Quarter, El Raval and Port Olimpic for some fantastic nights out. Barcelona has an amazing culture for you to soak up and it attracts people from across the world to experience it. You can easily visit the city’s main attractions which include the Park Guell and the Sagrada Familia. Make sure to hit up the Catalan festivals including Sant Jordi and Festes De La Merce.